Our five year strategy, Delivering fair resolution and learning from harm, extends our role beyond the historic narrow remit of claims management and shifts the focus of our organisation on prevention, learning and early intervention, to avoid unnecessary court action. This will improve the experience for those who are injured as well as address the level and cost of negligent harm. Our primary focus for the future is to resolve concerns fairly. We also have a duty to use what we know, to help to prevent the same thing happening again. While we are not a patient safety body, we do have a unique contribution to make to the patient safety system. By working with and through others we can help drive improvements in patient safety and inform policy decisions. Formal litigation reduced to the lowest recorded level as NHS Resolution mediated more claims in a single year that in its entire history. 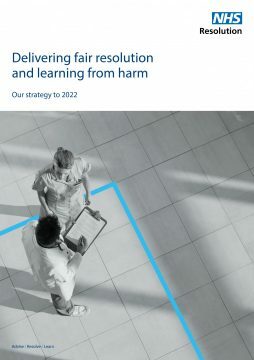 This was accompanied by a welcome reduction in claimant legal costs (by £31.8 million) for the first time in many years as NHS Resolution implemented the first year of its five year strategy – Delivering fair resolution and learning from harm. However, despite a plateauing in the numbers of new clinical negligence claims, the cost of claims continued to rise, largely due to a change to the way in which compensation is calculated. 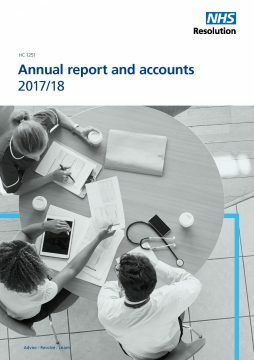 Figures for the past year show that the NHS paid out more than £1.63 billion in damages to claimants in 2017/18, an increase from £1.08 billion in 2016/17. £404 million of the increase (33%) was due to a change in personal injury discount rate (PIDR) from 2.5% to minus 0.75. Legislation to address this is currently progressing through parliament. 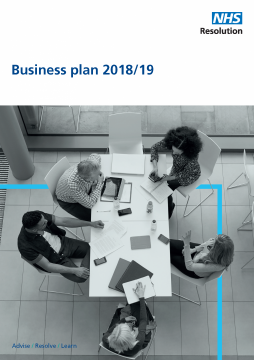 Our business plan for 2018/19 sets out our financial and delivery plans as we enter into the second year of our five year strategy, Delivering fair resolution and learning from harm. With the focus of our strategy on tackling the increasing cost of clinical negligence, although in 2017/18 we saw a levelling off in the number of incoming clinical negligence claims, the overall trajectory of cost continues to be of concern. If you cannot find the document you are looking for please get in touch with us by emailing us at communications@resolution.nhs.uk. As per our document retention policy we keep three years’ worth of documents online and older documents can be found on the National Archive where you can access our old NHS Litigation Authority (link opens in new window) and National Clinical Assessment Service (link opens in new window) websites.